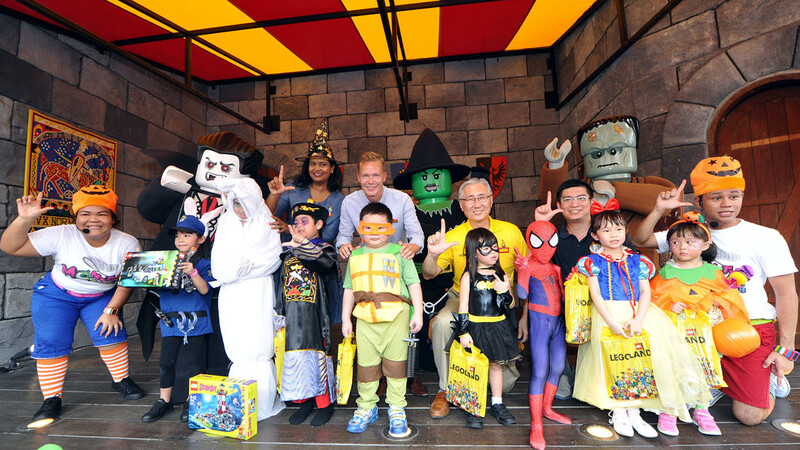 Enjoy your day with family and friends in the first Legoland Park in Asia! 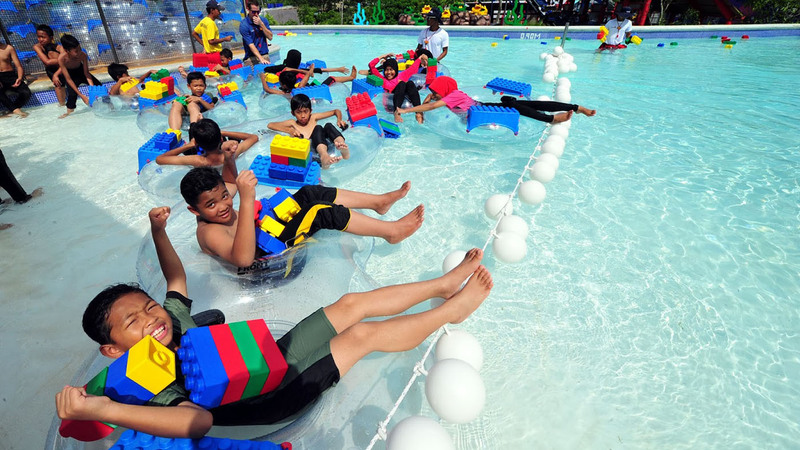 In Legoland Malaysia theme park, you are free to build whatever you imagine with Lego and test the structure of your creation on the table of the earthquake. You can build and create a Lego robot program at Lego Technic, then burn the laser blaster and take an adventure into the tropical forest of Land of Adventure. You will see the incredible Asian landmarks in Miniland - all created using over 30 million Lego bricks. 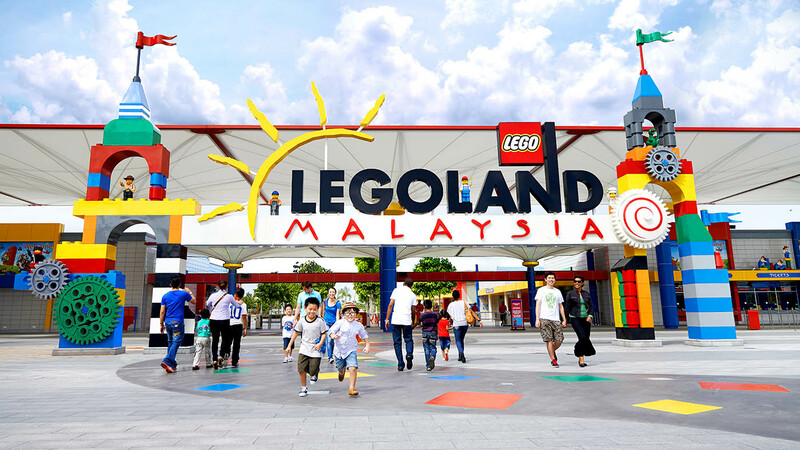 Get your special Legoland Malaysia promotion package and shop at The Big Shop, the only place you will find the largest selection of LEGO toys in Asia. For those who require wheelchairs, rental options are available at the Mini Market for an additional cost. 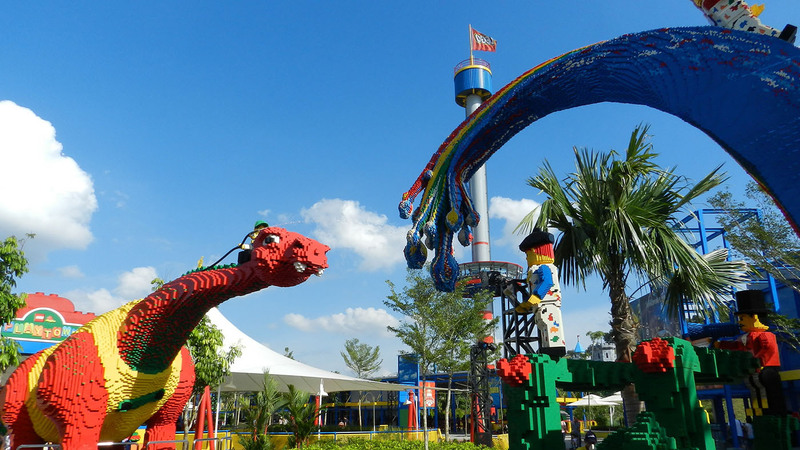 Legoland Malaysia ticket to some attractions and rides have height and age restrictions. This information is available onsite. 2 Day Combo ticket must be used for two consecutive days. 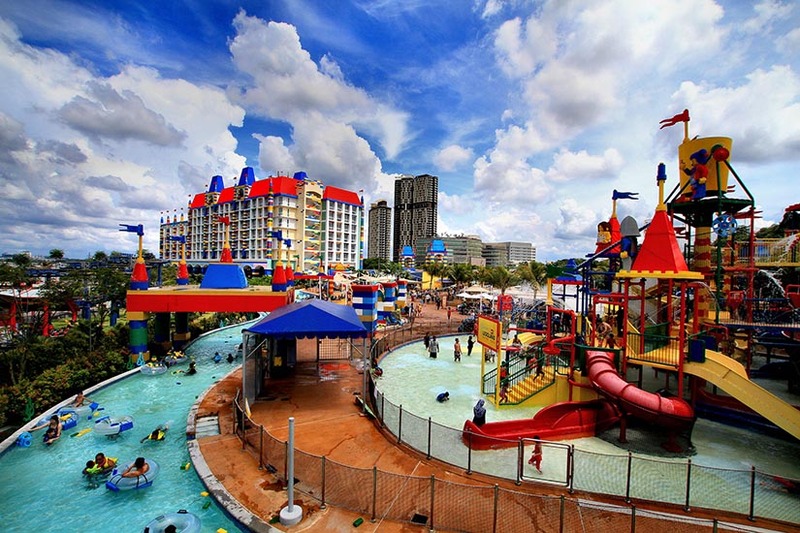 Address: 7, Jalan Legoland, Medini, 79100 Nusajaya, Johor, Malaysia. Theme park opening hours are from 10:00 am to 06:00 pm from Monday to Thursday, and 10:00 to 07:00 pm from Friday to Sunday. 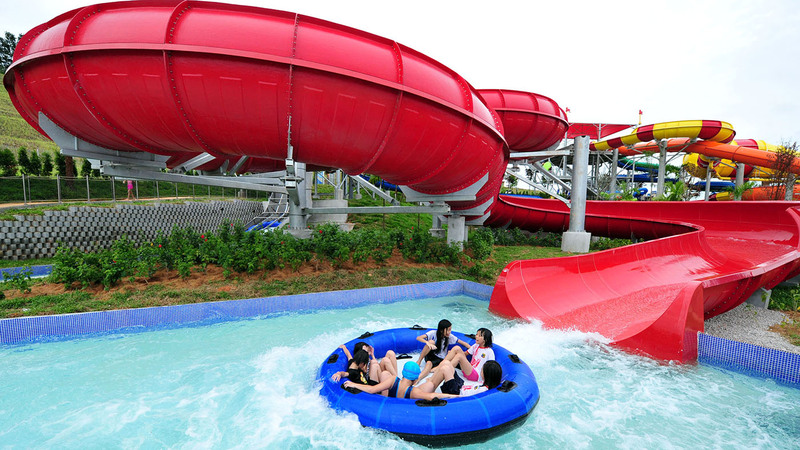 Water park opening hours are from 10:00 am to 06:00 pm daily. The park will not close in the event of typhoons; however, certain outdoor rides will be closed in case lightning within very close proximity to LEGOLAND occurs. 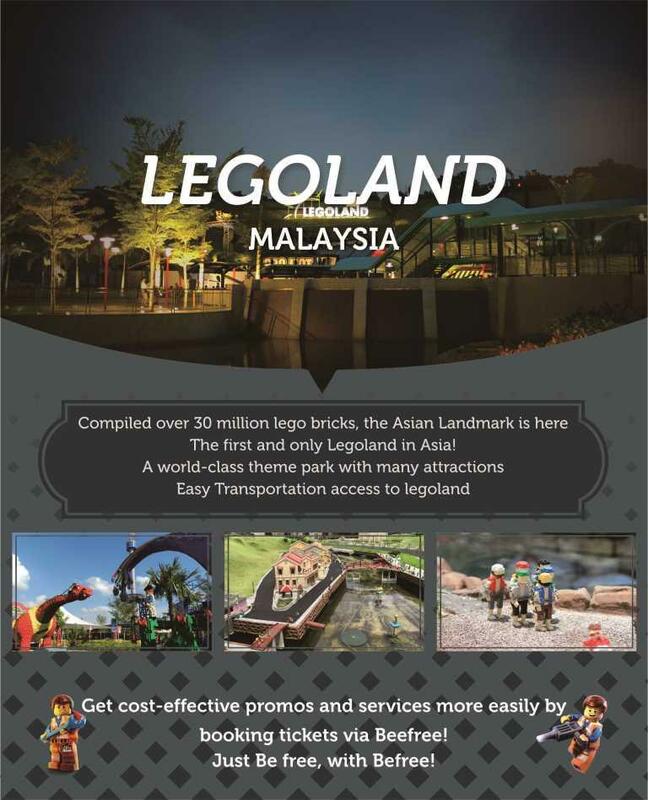 Get your special Legoland Malaysia promotion 2018 only on Befreetour! 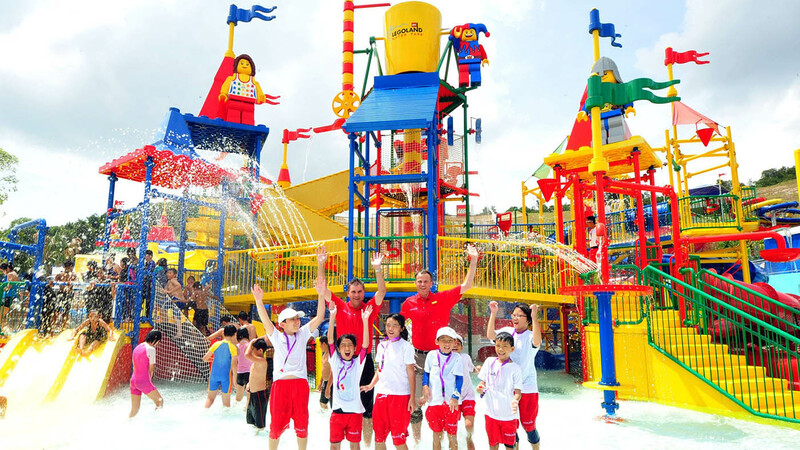 Invite your entire family to enjoy the excitement of playing lego and exploring the 12 attractions including Miniland which becomes the children's favorite. 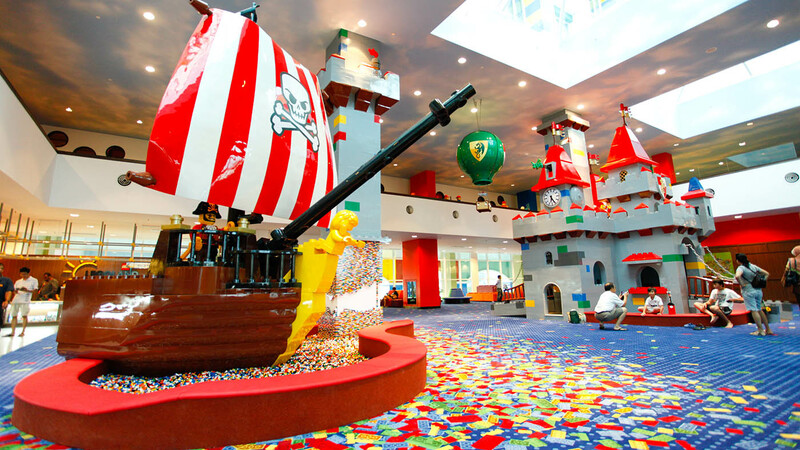 The unique Legoland keeps the kids enjoy playing games and learning to let their imagination grow. Book the Legoland ticket price now, and make sure you don't miss Sanrio Hello Kitty Town & Thomas Town for more wonderful journey! This product is instant booking, a voucher will be sent by email within one hour after payment of business hours. A: Unlike third-party platforms who may hold fraudulent tickets, Klook is an authorized reseller of Legoland. All tickets sold by Klook are genuine and will be accepted at the admission gate. A : Yes, you can, but please note that you cannot start day 1 on the date of expiry. For example, if your ticket expires on 2 September, then the first day of entry must be 1 September. Udah bandingin dengan beberapa web lain, awalnya sempet ragu, tapi alhamdulillah ga ada masalah. Tiketnya lumayan cepet juga ternyata. Kalau bisa sih di tambah lagi pilihannya ya... Ga nyesel pokoknya milih Befree.